Five years after the Printemps érable, one of the biggest protest movements ever to hit Quebec, the province’s universities remain underfunded and beset by a series of unresolved issues. In March 2011, Jean Charest’s Liberal government announced that university tuition fees in Quebec would rise from $2,168 in 2012-13 to $3,793 in 2016-17, a 75 percent increase. The effect was like a thunderbolt to the student movement, whose members consider low tuition sacrosanct in promoting access to postsecondary education. 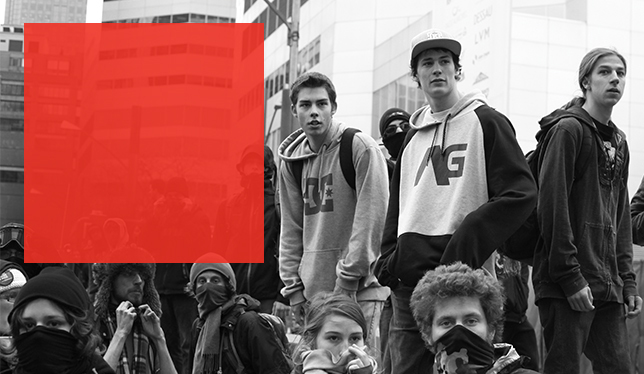 Students formed a broad province-wide coalition and the first salvo in what was to become known as the Maple Spring, or Printemps érable, was fired on February 7, 2012 when students approved a strike mandate at the Collège de Valleyfield southeast of Montreal. A month later, out of some 400,000 postsecondary students in Quebec, roughly half were on strike. On March 7, an estimated 200,000 people – many wearing a small red square that became a symbol of the protests – marched in downtown Montreal. 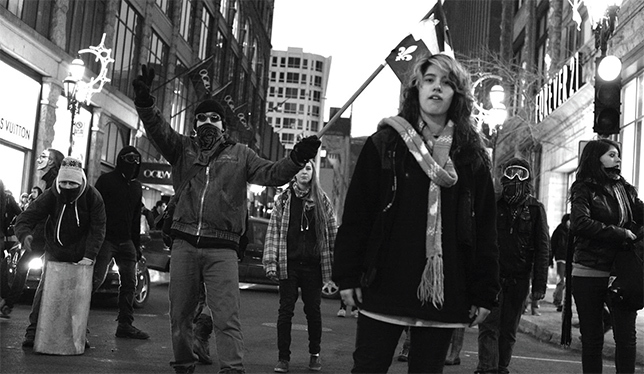 This mobilization, which developed into a vast social movement that went beyond the issue of tuition fees, lasted for months and is credited with helping to bring down Quebec’s Liberal government. 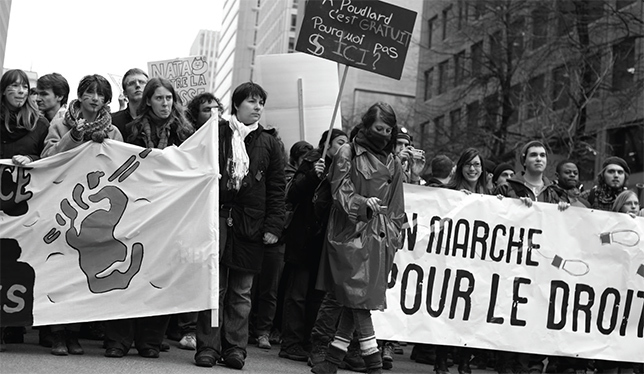 In September 2012, its electoral defeat at the hands of the Parti Québécois sounded the death knell for tuition fee increases. Hard on the heels of the election of a minority PQ government, a summit on postsecondary education was held – a gathering that raised the hopes of UQAM rector Robert Proulx. “We discussed a legal framework for universities, setting up a Council of Quebec Universities and reinvesting. And we spent a lot of time talking about the role of universities,” he recalls, “but little emerged in the way of concrete results.” As it turned out, the PQ barely had time to index tuition fees and impose cuts of $250 million before going to the polls again – and losing. Government disengagement is not the only aspect of funding that raises the ire of rectors. Many call into question the formula for calculating provincial funding, which is based on university course credits. Thirty credits are equivalent to one FTE. The more students a university has, the more money it gets. In a context of underfunding, this formula drives universities to compete fiercely, going so far as to set up points of service for students hundreds of kilometres away from the home campus. “In 2012, politicians realized that attempting to impose higher tuition fees came with a political cost, but there seems to be none attached to neglecting universities,” says UQAM’s Dr. Proulx. The fact that rectors and students today are failing to present united fronts does nothing for their political clout. The Conférence des recteurs et des principaux des universités du Québec, or CREPUQ, representing Quebec’s university heads, and the Fédération étudiante universitaire du Québec, representing students, both imploded in 2014 and 2015, respectively. Now neither rectors nor students are speaking with one voice. In January 2014, CREPUQ became the Bureau de coopération interuniversitaire, or BCI, whose mission is to maintain collaboration between universities regarding services (common purchases for libraries, consensus-building, etc.). But the bureau does not have a mandate to speak on behalf of all universities. As the absence of a mouthpiece for universities makes itself felt, the BCI’s role is already starting to change. “Without going back to what CREPUQ was, the BCI can act as a representative on issues that unite all the universities,” suggests Dr. Breton. And it is already doing that, for example, in terms of combating sexual harassment on campuses. Mr. Lavallée firmly believes that students must have a strong voice within Quebec. For now, the UEQ’s main demands focus on financial assistance for students, on the recovery of money related to the abolition of the federal income tax credit for tuition, education and textbooks, and on the fight against budget cuts. Between 2007-08 and 2015-16, fees for undergraduate students rose from $1,768 to $2,294, a 30-percent increase, according to a recent discussion paper published by the Institut de recherche et d’informations socioéconomiques. (These figures are for Quebec residents; students from outside Quebec pay higher fees.) If the indexing decreed by the government continues, the amount will rise to $2,965 in 2025-26. Despite the recent increases, Quebec remains, after Newfoundland, the province with the lowest tuition fees. The Canadian average in 2015-16 for undergraduate students stood at $6,201. The university system’s difficulties are not just financial, however. The malaise runs deeper. The Maple Spring was the stage for a confrontation between two very different visions of university education, according to Michel Seymour, a professor of philosophy at Université de Montréal. The latter vision was essentially taken up during the crisis by the government and some journalists and commentators, and strongly contested by the demonstrators. For example, the government consistently refused to speak of a strike, preferring the term “boycott.” After all, customers do not go on strike, and a boycott does not have to be obeyed in the way that a strike call does. Students who were against the strike applied for and obtained injunctions to allow them to attend their courses, even in universities where strike mandates had been approved by ballot. “For the first time, the very legitimacy of the student movement was challenged,” says Dr. Lafortune of FQPPU. What is the way out of this impasse? Naturally, the universities are hoping for a major reinvestment, and soon, now that the provincial government is in a budget surplus. Quebec finance minister Carlos Leitão hinted in February that there will be a “reinvestment” in higher education in the upcoming budget, which was expected to be tabled sometime in March. But more will be needed. Dr. Samoisette at U de Sherbrooke dreams of an ambitious policy to support universities, coordinate their development and increase graduation rates. A proposal currently being studied by the Quebec government could play a role in this respect: the government plans to revive the Conseil des universités du Québec, the university advisory council created in 1968 but abolished in 1993 as part of a drive to reduce public spending on education. Its mission would indeed be to contribute to the general orientation and improvement of the university system, relying on research to advise both the ministry and the universities. It would also contribute to an independent, public assessment of the quality of teaching and research. During province-wide consultations initiated by Quebec’s ministry of education and higher learning in 2016, actors from the university community expressed various points of view. Students and teachers both want to make sure that the body will be independent and that they will be well represented on it. The rectors are open to the idea, provided that it does not threaten their independence by imposing a rigid framework or strict guidelines.